How can the NHS prevent the tidal wave of diabetes? In the UK, more than 3.2 million live with diabetes, up from 2.1 million in 2005. The majority (90%) have type-2 diabetes, which is linked to poor diet and obesity. Diabetes arises when the body loses its ability to use or make insulin, a hormone that helps regulate the amount of sugar in the blood, causing uncontrolled blood sugar levels. Patients with diabetes are at risk for macrovascular complications such as myocardial infarction and stroke, and microvascular complications such as nephropathy, retinopathy, and neuropathy. It can lead to devastating complications such as blindness, and was the cause of 22,000 early deaths last year. Many diabetics experience peripheral neuropathy (nerve damage), which can result in a loss of sensation or persistent, nagging pain. The loss of sensation can lead to sores or infection in the feet, which, if left undetected necessitate lower limb amputation (135 per week across the UK); diabetic peripheral neuropathy can also cause gnawing, tingling, shock-like, or shooting pain in the extremities, which causes great distress and has no cure. The spiralling numbers of diabetes patients, following the trend of obesity, shows that the public may still be unaware of the severity of these conditions. Human cost aside, what about the NHS? The dramatic growth in the numbers of people with diabetes underlines the urgent need for prevention, before the disease burden overwhelms the NHS. Despite this exorbitant spending, the charity Diabetes UK has warned that only 60% of patients receive all the care processes they require for effective monitoring and treatment. There is huge potential to save money and reduce pressure on NHS hospitals and services, but without successful diabetes prevention, this figure will unquestionably rise to unsustainable levels. If nothing changes then what will happen? According to data from Public Health England, five million adults in England are pre-diabetic; using much broader criteria, Diabetes UK actually estimates a UK-wide figure of around 18 million people as being risk of developing diabetes; and the British Medical Journal suggests a staggering third of all adults in England are already pre-diabetic (2). However, some doctors have questioned the value of the pre-diabetic diagnosis (3), arguing that only a small number – perhaps one in 10 – will go on to develop diabetes. Despite these widely variable outcome predictors for diabetes, the fact that diabetes prevalence has soared, and obesity – the greatest risk factor for developing DM – continues to “spread”, it is highly likely that diabetes prevalence will continue to grow. Cause of diabetes: unhealthy lifestyle, genes or gut microbiota? Diagnoses are not always clear-cut: obesity and diabetes result from complex interactions between environmental and genetic factors. However, with 80% of people with type-2 diabetes being overweight or obese at the time of diagnosis (according to the International Diabetes Federation), the explanation for the recent exponential increases in numbers of type 2 is being placed on the expanding waistlines of the nation. Excess abdominal fat is an especially high-risk form of obesity: abdominal fat causes pro-inflammatory mediators to be released from fat cells, which effectively reduce insulin responsivity, a major trigger for type-2 diabetes. 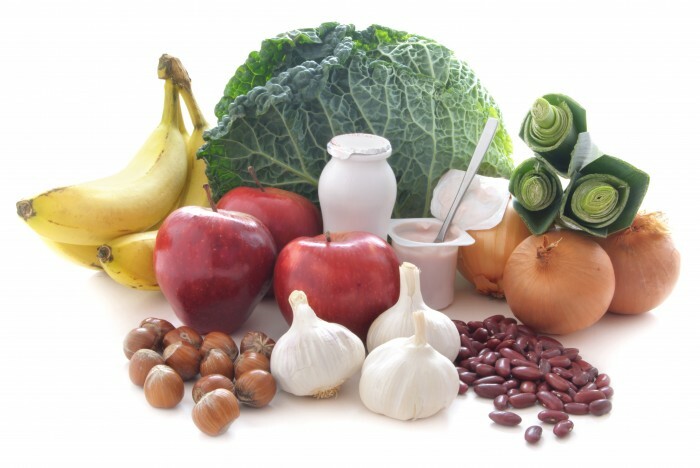 Recently gut microbiota has shown to be involved too. Using mice genetically predisposed to obesity and metabolic disorders Ussar and co-workers showed that this phenotype is the result of interactions between gut microbiota, host genetics, and diet (4). This is somewhat encouraging: individuals may be amenable “reprogramming” of microbiota for ameliorating the development of metabolic disorders and may offer hope for faecal transplants in the future. So what’s new? Is it as simple as healthy eating and more exercise? 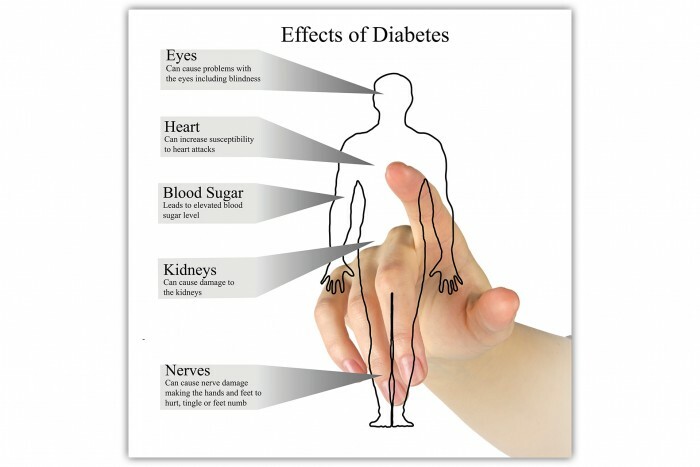 Although diabetes medication is routine treatment, it basically helps to control the condition and is not preventative. These drugs fall into many categories, such as alpha glucosidase Inhibitors (slow carbohydrate digestion), incretin mimetics, and thiazolidinediones (reduce insulin resistance), to name but a few. 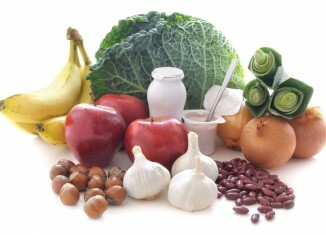 With diabetes, the old adage – that prevention is better than cure – is a huge understatement. Although to many, healthy lifestyle choices are common sense and almost intuitive, the NHS is preparing to roll out a diet, weight loss and exercise programme that has been shown to reduce the diabetes risk for a quarter of those who take it up. However implementing these recommendations into real world settings is a challenge for many. Most people understand that in order to reduce risk of developing diabetes or reduce complications associated with diabetes they need to lose weight, exercise and eat healthily, but can find it difficult to maintain, so therefore patient support is critical. Mobile applications and web-based technology can be useful in self-management, and particularly for lifestyle changes in patients with diabetes. A review of internet-based interventions highlighted that they were focused on management of glycaemic controls and drug titrations and rather than lifestyle changes, and that in this respect they lacked behaviour theory and educational components (5). This comes as a surprise as the lifestyle choices could be both cause and cure for the disorder. Promisingly, they found the tools available demonstrated improvements in behavioural, physiological outcomes as well as improved knowledge and self-efficacy. This suggests that utilisation of the almost ubiquitous smartphone as a motivational and educational tool may hold promise for managing type-2 diabetes for individual and peer-to-peer support using social media. Another school of thought believes that a more drastic method is required: bariatric surgery. A recent study demonstrated that half of the type-2 diabetes patients who had weight loss surgery were cured for at least two years (6). Overall they were less likely to have heart problems (a common side-effect of uncontrolled diabetes), and reported improved quality of life and even those who weren’t cured were able to better manage their symptoms. In fact, so effective is this approach that NICE guidelines have reduced the threshold for consideration for surgery from a BMI of 35 with concurrent health to a BMI of 30-35 (7). Clearly, in order to slow this wave of diabetes something must change, whether it is a more aggressive pre-symptomatic diagnostic phase with education and behavioural therapy, or decisive action regarding surgery at early stage or more effective symptomatic treatment. Technology must be embraced, so that patients can self-manage, self-motivate and prevent diabetes and its deleterious complications before NHS resources are overwhelmed with what is largely a preventable disease. Wise J. A third of adults in England have “prediabetes,” study says. BMJ. 2014;348:g3791. Epub 2014/06/12. Yudkin JS, Montori VM. The epidemic of pre-diabetes: the medicine and the politics. BMJ. 2014;349:g4485. Epub 2014/07/17. Ussar S, Griffin NW, Bezy O, Fujisaka S, Vienberg S, Softic S, et al. Interactions between Gut Microbiota, Host Genetics and Diet Modulate the Predisposition to Obesity and Metabolic Syndrome. Cell metabolism. 2015;22(3):516-30. Epub 2015/08/25. Cotter AP, Durant N, Agne AA, Cherrington AL. Internet interventions to support lifestyle modification for diabetes management: a systematic review of the evidence. Journal of diabetes and its complications. 2014;28(2):243-51. Epub 2013/12/18. Arora T, Velagapudi V, Pournaras DJ, Welbourn R, le Roux CW, Oresic M, et al. Roux-en-Y Gastric Bypass Surgery Induces Early Plasma Metabolomic and Lipidomic Alterations in Humans Associated with Diabetes Remission. PloS one. 2015;10(5):e0126401. Epub 2015/05/07. There’s nothing quite like diets to get people arguing. Calorie controlled, low-fat, Atkins, glycaemic index … they all bring out the worst in bigotry and charlatanism. There must be some truth somewhere, and you’d think science would find the answers, but recent experience is that a report of a study can generate apparently diametrically opposed press coverage: ‘Low-fat diets are better’ said the BBC while the Daily Mail headline said ‘Low-carb is best’ [1, 2]. Actually it was mainly the headlines that were confusing in this case as the actual results from the study were well reported in the articles but the issue with interpreting the results is how well they translate to the real-world setting. The study involved a small number of obese subjects who followed a short (6-day) baseline diet of 2700 calories per day followed by the experimental 5-day diet where the calorific intake was reduced by a third either by reducing fat or by reducing carbohydrates. Subjects exercised daily. After a washout period of 2-4 weeks, the process was repeated with the other diet . NHS Choices, which keeps a close eye on press coverage of medical research, explains that this was a well-designed study but because of the small number of subjects (19) and the short timeframe the results weren’t convincing enough to settle the debate . In obese subjects fat loss is more important than weight loss and the prevailing view has been that fat loss is not possible without reducing the intake of carbohydrates [e.g. 5]. Hall’s study has shown that this is not the case and that fat loss is possible without reduction in carbohydrate intake. Hall and his colleagues point out in the paper the difficulties of conducting randomised controlled trials of prescribed diets. For that reason Hall’s research involved subjects being admitted to the metabolic unit at the NIH Clinical Center in Bethesda, US where they stayed for the duration of the research with careful monitoring of all exercise and food intake – conditions that are neither practical nor cost-effective in outpatient studies. As a result, the researchers were able to definitively reject the hypothesis  that carbohydrate restriction is required for body fat loss. It seems that the old truism remains: the best diet is the one that you can stick to! Our understanding of diet and how we store and process food is constantly changing. It was only in 2009 that studies showed the importance of brown adipose tissue (brown fat) in humans . Brown fat is interesting because of its ability to burn food directly to produce heat; it can produce 300 times more heat per gram than any other tissue in the body but is also believed to release hormones that help to regulate the metabolism of glucose and fatty acids [see 7]. In general, slimmer people have more brown fat while obese people have less. The natural question to ask is whether the brown fat can be increased, enhanced or somehow made more active. The answer is that it can. Exposure to cold is known to activate the brown fat cells and recent studies suggest that capsaicin, the component of chilli peppers that provides the heat, stimulates brown fat in the same way . Other pharmaceutical interventions to enhance the performance of brown fat could be in the pipeline, including mirabegron, which was developed originally for overactive bladder but has been found to stimulate receptors on the surface of brown fat cells . Why do we need carbohydrates anyway? From work recently published in the Quarterly Review of Biology it looks as though carbohydrates could have played a critical role in human evolution. Our brains are bigger than those of our nearest relatives in the animal world, and they use about a quarter of the calories we consume. Karen Hardy and her colleagues outline the persuasive hypothesis that man’s brain did not develop as a result of moving from a plant-based to a meat-based diet. They propose instead that human brains were only able to evolve and grow as a result of including concentrated starch from plant food in the diet to meet the substantial increased metabolic demands of an enlarged brain – and the development of cooking would have to be a component of that development. The evidence for the use of fire to cook food is – at present – primarily archaeological, but Karen Hardy and her colleagues have been examining the gene that produces the enzyme amylase that is essential to breaking down starch. Their hypothesis is that there must have been genetic selection for higher levels of amylase secretion at the same time as the processes of cooking were evolving. Better understanding of the amylase gene and ancient DNA data will therefore be important in the further refinement of the hypothesis . 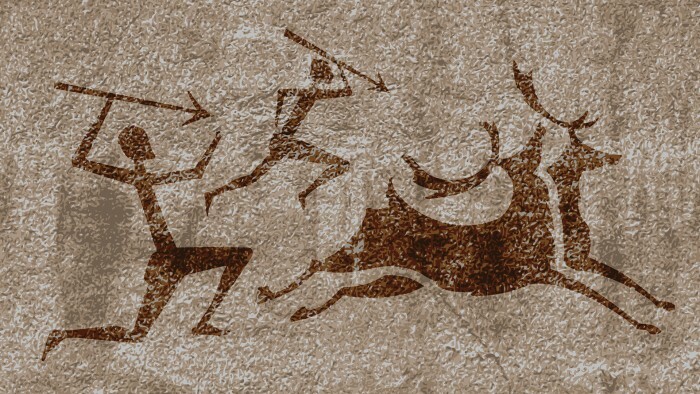 So the proponents of the ‘Paleolithic diet’ are going to have to add back some starch! Hall KD, Bemis T, Brychta R, Chen KY, Courville A, Crayner EJ, et al. Calorie for Calorie, Dietary Fat Restriction Results in More Body Fat Loss than Carbohydrate Restriction in People with Obesity. Cell Metab. 2015 Sep 1;22(3):427–36. Taubes G. Why we get fat and what to do about it. New York: Alfred A. Knopf; 2011.
van Marken Lichtenbelt WD, Vanhommerig JW, Smulders NM, Drossaerts JMAFL, Kemerink GJ, Bouvy ND, et al. Cold-activated brown adipose tissue in healthy men. N Engl J Med. 2009 Apr 9;360(15):1500–8. Yoneshiro T, Aita S, Matsushita M, Kayahara T, Kameya T, Kawai Y, et al. Recruited brown adipose tissue as an antiobesity agent in humans. Journal of Clinical Investigation. 2013 Aug 1;123(8):3404–8. Cypess AM, Weiner LS, Roberts-Toler C, Elía EF, Kessler SH, Kahn PA, et al. Activation of Human Brown Adipose Tissue by a β3-Adrenergic Receptor Agonist. Cell Metabolism. 2015 Jan 6;21(1):33–8. Hardy K, Brand-Miller J, Brown KD, Thomas MG, Copeland L. The Importance of Dietary Carbohydrate in Human Evolution. The Quarterly Review of Biology. 2015 Sep 1;90(3):251–68.